As the massive thunderclouds approach, a tree swallow with wings folded is caught in flight. 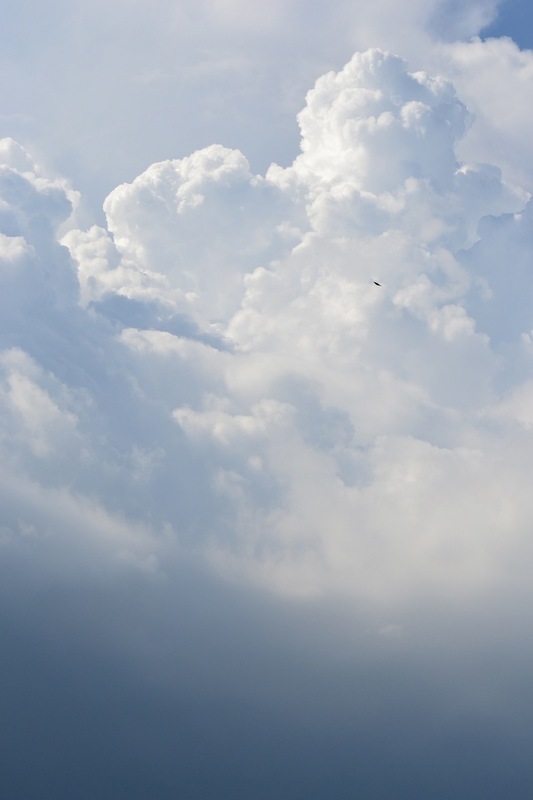 This entry was posted in Photography and tagged 50mm, nikon D3100, photo, storm, tree swallow. Bookmark the permalink. The poor tree swallows chances aren’t looking so good! We’ve a few dozen nesting close by and I believe they are about the most agile flyers I’ve ever seen, so I don’t doubt that when the wind and rain began in earnest, that they’d already be safely tucked away and chattering about whatever they’d been up to before the storm hit.